These classes are suitable for children and teens, boys and girls who have never experienced fencing before as well as for those who have some basic fencing knowledge. The classes are run by a team of highly experienced coaches, who teach kids about fencing in a lovely and fun atmosphere. Each class is taught using plenty of games to improve speed and coordination, develop specific fencing skills and tactical thinking. Kids learn fencing blade and footwork, rules of courtesy during a fencing bout and refereeing skills – all that of course while doing plenty of sword fighting! Children can take part in various competitions for their club, their school and maybe even the country. Our coaches, all of whom have international competitive experience, are always there to help and motivate! Boys and girls train together. At the beginner level, all fencing equipment is provided, children need to bring a T-shirt, trainers, and tracksuit. Fencing will keep your child moving: Fencing burns off plenty of energy, so it is one of the best kid`s activities to tire out energetic children and to ensure that they are enjoying a healthy, active lifestyle. Fencing uses the brain as well as the body: Fencing is a very strategic sport, almost like a physical form of chess. It teaches children to think for themselves and to analyse the way other people think. Your child will learn how to outthink their opponents quickly in order to succeed in their matches. Fencing for children improves balance and posture: Fencing will help your child to develop better balance and agility, which can help to keep them steady when they are enjoying other sports or kid`s activities. Timing is key in fencing: Fencing requires good timing, which is an ability that your child will be able to apply in other sports, and in their music lessons and other kids’ activities as well. It is also great for improving coordination and reflexes, which will be similarly useful elsewhere. Independent sports make kids more self-reliant: Since fencing for kids is an independent sport, your child will learn how to work alone, and to take responsibility for their own successes or failures. They will have to think for themselves, develop the confidence to compete, and learn from their mistakes. However, while they may be alone against their opponent, they will also have plenty of social interactions with the other children in their after-school classes. Fencing improves concentration: Fencing in their after-school classes will teach your child how to stay focused and follow instructions carefully. These are important skills that your child will be able to apply in school and during other kids activities. Fencing for children focuses on honour and respect: Kids taking after-school classes in fencing will learn how to compete against one another safely and fairly. Fencing is a very polite sport that encourages fair play. Practising it in after-school classes will teach your child the importance of following the rules and being a good competitor. They will learn how to win and lose gracefully and to treat their opponents with respect. Fencing teaches self-control: Fencing is one of the best kids’ activities for learning self-control. It can provide a channel to turn stress, anger, and frustration into healthy competition. Fencers need to be able to control their own emotions in order to out-think their competitors and avoid making a mistake. Being able to handle their own emotions is an important life skill that will help your child in school and elsewhere, particularly when it comes to interacting with other children. Children who fence learn the importance of safety: Many kids will be inspired to take up fencing because they have seen people handling swords in films or video games. After-school classes can provide a safe environment where they can imitate these moves and learn how to handle their foils safely. They will learn how to treat the foil carefully and to respect the safety of others. Fencing is fun: Fencing is one of the kids’ activities with the widest appeal. It will attract children who enjoy other sports, but fencing for children can also be interesting for kids who are interested in history, historical or fantasy fiction or stage acting. Whether you are new to fencing or a competitive fencer, you need to practice and learn new skills in order to advance your fencing knowledge and techniques. 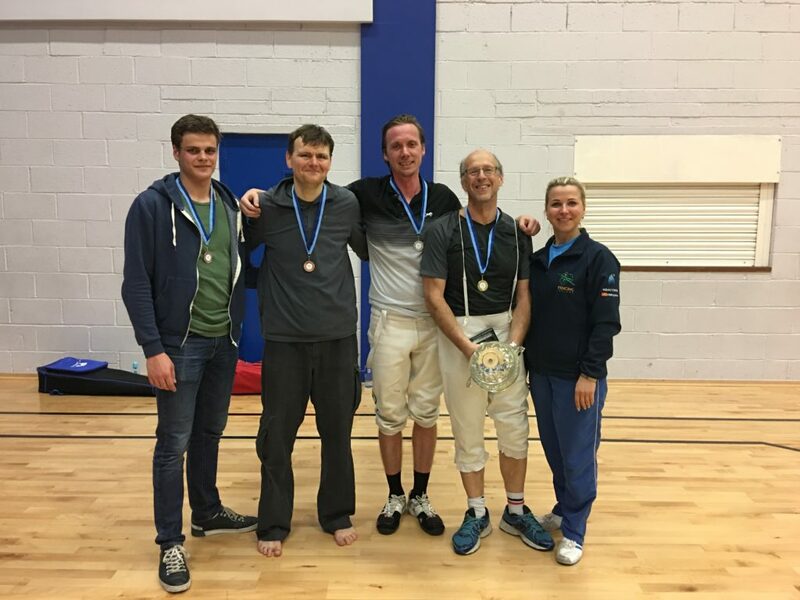 Pembroke Fencing Club offers lessons to suit all requirements that will enable you, whatever your level, to continue your fencing education. 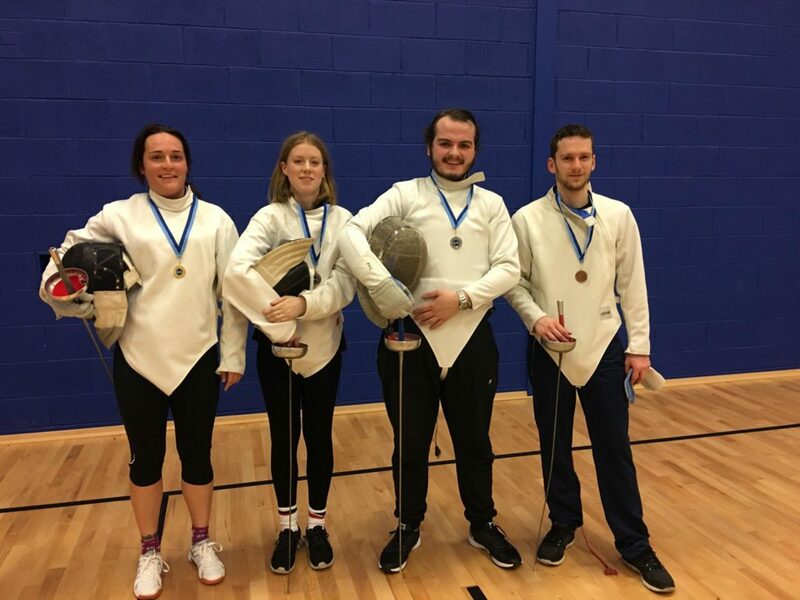 Pembroke Fencing Club offers a beginner course to new fencers of all ages. You can start fencing at any age and soon reap the benefits: strengthening thighs, buttocks and stomach, reduce weight and increased agility. The course is designed to introduce you to all the main components of the sport and help you discover your place in the world of fencing. The PFC runs frequent beginners courses, the aims of which are to give beginners an introduction both to the sport of fencing and also to the PFC. Courses tend to fill up very quickly, and you should get in touch to reserve your place as soon as possible. The beginner`s classes cover the main aspects of fencing and are ideal for people with no previous knowledge of the sport. The participants are introduced to rules, techniques, and terminology of the sport of fencing. The class cover conditioning, footwork, blade drills, fencing with electric scorning equipment and individual instruction. While learning the types of attack and defence fencers exercise in pairs or with the coach. Acquired skills are practised further during the free fencing bouts. All elements are taught slowly and repeated often to ensure that students grasp the move – as well as understanding when it should be executed! By the end of the course, the participants should have acquired a general knowledge of the sport and feel competent to bout with the more experienced fencers. The beginner`s course is suitable for anyone aged between 15 and 70, male or female, right or left handed! Each beginner’s course lasts for a period of eight weeks and includes 1 hour of coaching per week. The courses are taken by Olga Velma and are held at the PFC’s venue at St.Conleth`s College. They are structured around group tuition, during which you are taught the basics of fencing with a foil/epee, and also the importance of footwork, blade-work, safety and the correct use of fencing equipment. The beginners’ course will also provide an opportunity for beginners to fence amongst themselves as they progress through the course. You don’t need to worry about having any specialised fencing equipment to attend a beginner’s course. All you need to bring with you is a pair of trainers and some clothes suitable for sporting activity (e.g. tracksuit trousers and a T-shirt). The PFC will supply the fencing kit that you will need. 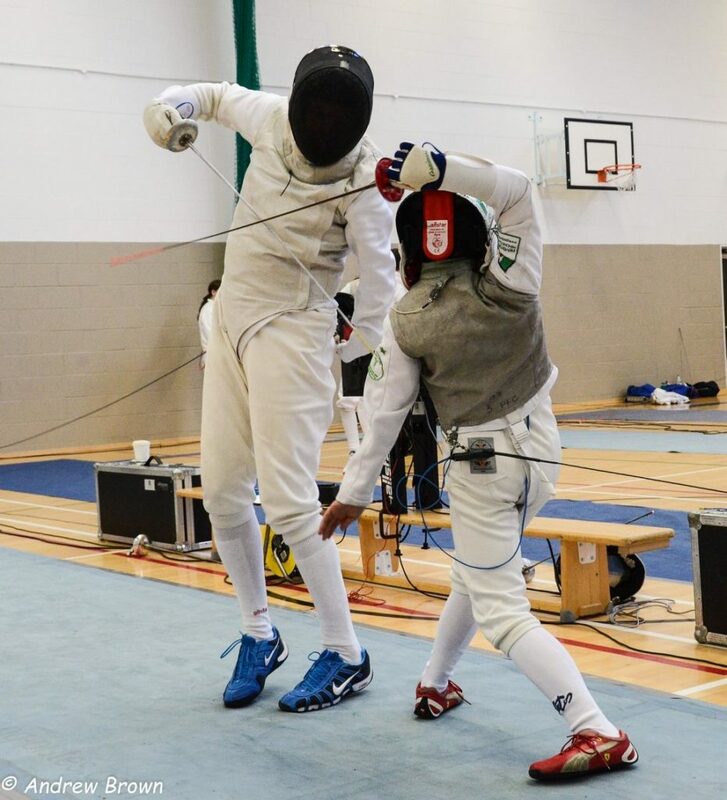 If having realised that you are a convert to the sport of fencing and wish to purchase your own kit, the PFC can give you advice on purchasing the necessary equipment. The beginners 8–week course costs €120 which is payable in advance at the start of the beginner’s course and is non-refundable. You can pay either in cash or by cheque made payable to “Pembroke Fencing Club”. Anyone interested in joining a beginner’s course is welcome to pop in at the next scheduled course. If you would like to attend such a course, or if you have any questions about the beginner’s courses, please email us. Thursdays are devoted to group classes for intermediate fencers from 7.30 pm to 8.30 pm with open fencing to follow until 9 pm. Coaches are available at their discretion for private lessons throughout this time. This class teaches advanced attacks, counter-attacks, and other important foil skills to make the fencer more knowledgeable about the variety of actions performed while fencing. Furthermore, the student is taught situational tactics and when to apply these skills. The class builds muscle memory within the individual fencer so that actions become faster and more instinctive. The fencing gym is open on Tuesdays, Thursdays, and Sundays for fencing practice and private lessons. Advanced classes are for teens over the age of 14 and adult fencers. This class focuses on all of the basic fencing techniques and strategies while providing a great environment for our older fencers to learn the sport. It is never too late to start fencing! 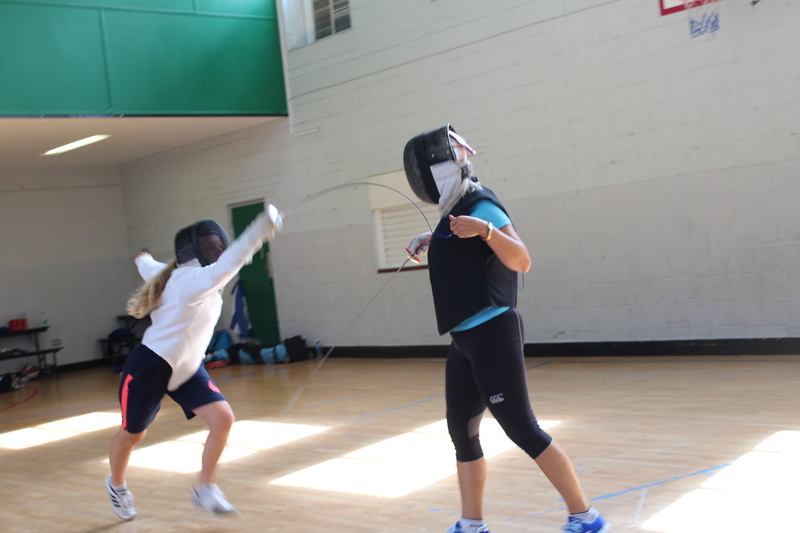 Sundays: 11.00-14.00 (foil & epee), Venue: Dalkey Loreto Sports Hall, Loreto Avenue, off Harbour Road, Dalkey, Co. Dublin. Private Lessons are an important part of a fencer`s training. One to one lessons with Fencing Master are the ultimate experience of fencing training. The Master will be working individually with you and, if there is one, your fencing partner. Private lessons are the ideal way to advance your fencing skills, create muscle memory, and get individualised instruction and mentoring. Also, if you plan to miss a class session, a private lesson would be the best way to make up that class session. We are pleased to offer private fencing tuition addressing aspects of your individual fencing style, skill and fitness. One to one lessons are the ultimate experience of fencing training and it is recommended that any fencer should have at least one lesson a month. If you compete, it should be 1-2 lessons a week. Private Lessons are by appointment only and should be scheduled directly with your coach. Arrive for lessons on time and be ready at the scheduled lesson time. If a fencer is going to be late for any reason the coach must be contacted directly by personal cell phone. If you are unable to attend a scheduled lesson, it is your responsibility to contact your coach directly by personal cell phone or email 24 hours in advance to reschedule the lesson time/date. Cancellations without 24 hours notice are subject to payment for the scheduled lesson. All coaches may be reached directly via personal cell phone or email. Payment is due to your coach for each private lesson, in advance, or at the time of the lesson. Your Coach will accept cash and a cheque at lesson time. Forgetting to pay for a lesson is very insulting. Once a lesson is scheduled the fencer is financially responsible for that lesson fee. Club members & currently enrolled students have priority for lesson times. Lessons for non-members will be scheduled as time allows. Fee for private lesson with our Master of Arms are as follows: 60 minutes – €50, 30 minutes – €25. Lesson Cards Pembroke Fencing Club offers lesson cards for purchase in blocks of six lessons. Do private lessons really make a difference? This is a question the coach gets asked a lot by parents, but there is no general, one-size-fits-all answer. The short answer is yes, private lessons will make a significant difference. That said, there are many factors to consider before committing to private lessons. They require effort, time, commitment, money, and an idea of the desired outcome. When your child is just starting out, we suggest participating in a group class initially. This will give the student a feel for the sport, establish camaraderie, and boost confidence among peers to achieve difficult skills. 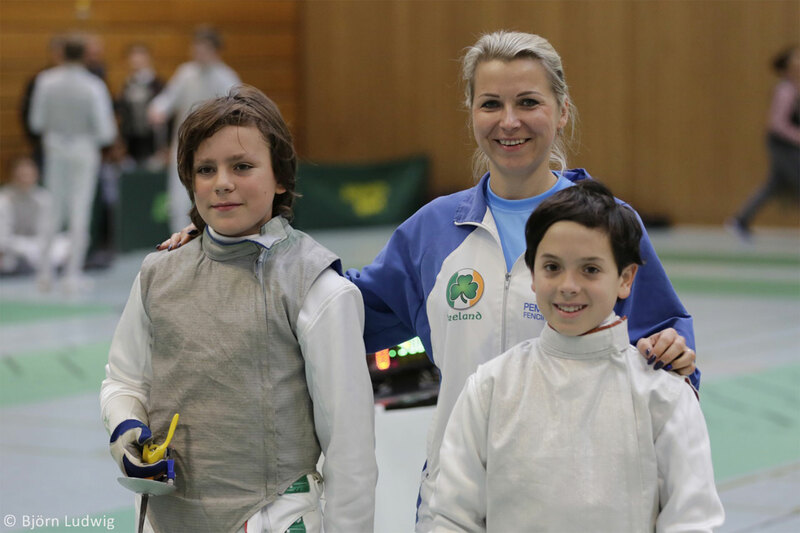 But once your child becomes bitten by the “fencing bug” and wants to compete or move up a level, one-on-one lessons with an experienced coach can be invaluable. 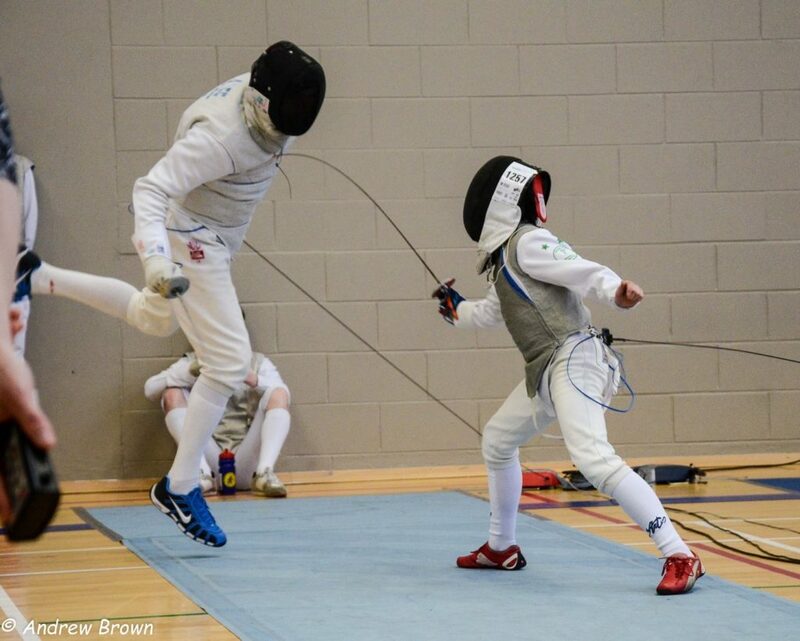 It’s not only a matter of private lessons improving your child’s fencing skill set – it’s also about how much faster your child will grow as a fencer. For example, we took a look at a group of young fencers in one of our classes. It was amazing to see the difference between those who were taking private lessons in addition to the class and those who weren’t. The private lesson participants moved to the top of the group and into the next level TWICE as fast! In another case, we saw two friends (same age, same athletic ability) who started the Beginner Fencing Class at the same time. After two months, one decided to take private lessons, the other didn’t. The results were astonishing: The child taking the private lessons moved into another level at a much more rapid pace. Getting one-on-one attention will show your child the correct way to handle the foil or epee to give him or her the highest advantage. During one-on-one lessons coaches will also give your child individualised exercises and drills that will strengthen the muscles they need to excel in fencing. In a private lesson, a fencer and coach can work on the tiny details of each technical element: from the simple basics such as a straight touch to more advanced combinations of complex movements such as multiple parries and attacks. All these elements are executed in private lessons over and over again and again until they are a natural part of the student’s repertoire. Instructors will also show the student how to develop his or her own approach and style. Coaches can help fencers discover what strengths they have and what techniques work best for them. A coach can also help the student pinpoint their weaknesses on the strip and develop a strategy to counteract them. Having his or her own style is the mark of a masterful fencer. Additionally, private lessons allow coaches to customise the learning for the skill level and individuality of the fencer. Working one-on-one will enable the coach to spot weaknesses in technique more quickly and help the fencer work through them faster than in a group setting. One-on-one lessons give the coach the time they need to break down and critique each movement for the individual fencer so that he or she learns the precise way to fence. It can make the difference between being a decent fencer and a fantastic one! Can your child progress without the benefit of private lessons? It is pure human nature to mimic each other. That’s how we learn! When we fence with advanced fencers, we tend to repeat and copy their moves or elements on some degree – especially children, who do this on a more instinctive level rather than a cerebral one. By attending a class with more advanced fencers, children new to the sport will experience a subtle and natural form of learning through imitation during the exercises and bouting. The problem with this process of learning is that mimicking behaviour can only go so far – the student may see the movements of the advanced fencer, but miss the subtleties of the technique. Or they may learn an incorrect method or bad habit. Unfortunately in group lessons, there are many fencers so the coach cannot fix every mistake that occurs. These habits then become ingrained in the fencer and are difficult to unlearn later on. After all, it’s easier to learn a new good habit than to unlearn a bad one! This is why we stress that fencers who want to compete need the benefit of private lessons. Nearly all competitive fencers around the world incorporate private lessons into their regular weekly training routine. Often fencers will take additional private lessons before an important competition to prepare themselves. Private lessons do require added time and expense, so we suggest that you don’t engage in them unless you or your child is serious about the sport and wants to make this obligation. We recommend that you discuss how private lessons can be incorporated into your training with your club coach. Bottom line: Private lessons are well worth the time and commitment. They will help the fencer improve at a much more rapid pace while developing their own style and technique. Private lessons are the key to turning a satisfactory fencer into a dynamite one. So, you’re thinking of a company event that would be out of the ordinary? Why not invite your colleagues for an afternoon of swordplay! The physical and mental challenge of fencing offers insight into how co-workers approach a new activity that may take them out of their comfort zone. Some people are surprised that the quiet co-worker in the office can be a more “take charge” personality on the fencing strip or during team challenges. Who doesn’t want to challenge their co-workers or boss to a duel? • The Tournament: either individual or team event with a Grand Final! This will take 2-3 hours including a short break. The session can be arranged either during weekdays or on Saturday or Sunday. The group can be anything between 6 and 25 people. All fencing equipment will be provided. Prices start from €15 per hour per person! In order to reserve your date, a €200 nonrefundable deposit is required. The remaining balance must be paid in full on the day of your workshop. Guests should wear comfy clothes and sneakers and come prepared to have fun! The fees do not include venue hire or catering. In terms of facilities, we require a space roughly the size of a badminton court (45’ x 25’) with appropriate flooring (i.e. carpeted, rubber or wooden). “Teams that get en garde together, stay together. • Exercises to speed up reactions What’s involved? • We cater to men and women of all ages and levels of fitness What should you bring? 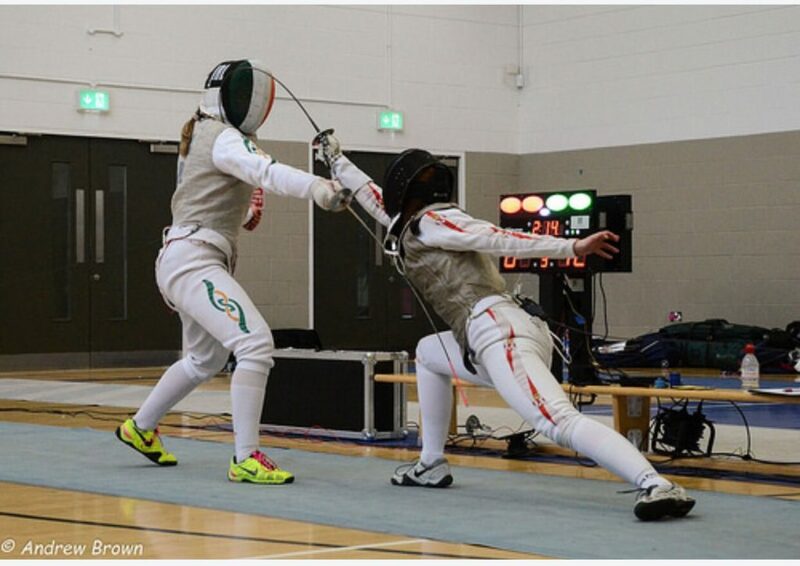 For bookings or questions please contact Olga by email on info@pembrokefencing.ie or phone on 086 216 0646. If you do not have the room for fencing event, we can organize to hire the hall or you can yourself find the hall. Please fill the short form. First of all, congratulations on your choice! The voucher will entitle your friend either to take part in one of our beginners’ classes, or to have 2 hours of individual fencing lessons, or have 2 hours of individual lessons combined with 2 hours of practical fencing sessions when they’ll fence with the members of our Club. The voucher will be emailed to you as a PDF file, so you could print it out and present to your friend. Then they will contact us to finalise the details (the times of the lessons or the starting date of the class).